On the eve of Thanksgiving last year, I received a sudden message from my brother. 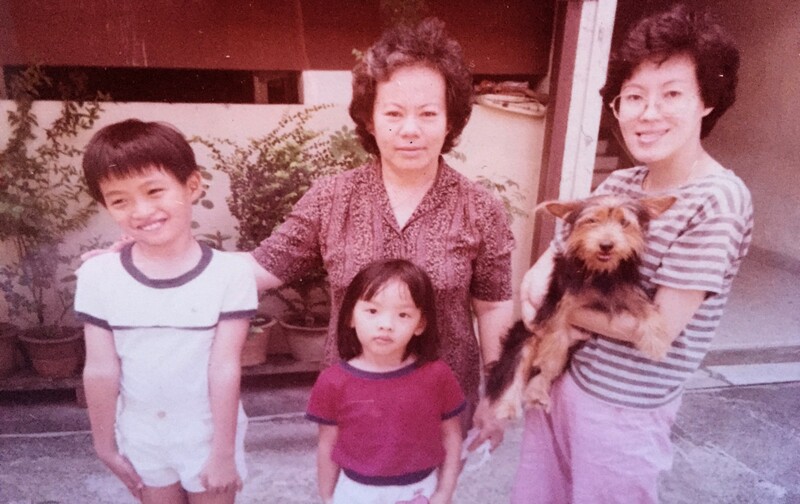 My maternal grandmother had suddenly passed away, in the wee hours of the morning. I called my parents immediately, but there was nothing more any of us could do. I booked the next flight out to Singapore, but it was almost 48 hours before I could arrive at the wake to see Ah Ma again. I remember sending a flurry of emails at the airport, telling people that I may come back, permanently changed. I was in Singapore a month before Ah Ma passed away. She looked a lot older than I had last seen her. She was trying to tell me her stories, many of which I have heard a hundred times, but I was not present. I was just not present. I nodded absent-mindedly to her, while trying to converse with my parents — everyone was trying to talk to me at the same time, because they could only see me a week a year since I had moved out of Singapore. That was all I gave. I don’t even remember if I had said goodbye to Ah Ma the last day before I returned to San Francisco. I comforted myself, that at least I did see her. I did not call home the entire month between flying back to San Francisco and Ah Ma passing away. I was tired and stressed. If only I had known. I had missed all the opportunities I could have to see her calling out to me on Facetime. At the wake, I could not cry. I did not grieve. I told myself that Ah Ma would have preferred to leave in this manner. She was 82, and even to the last day she was active and able. Ah Ma did not allow any of us to hold her hand while crossing roads. All I could do was to be supportive to my mother, the only child of a single mother. The only tears I shed was because I could not bear to experience my mother losing her mother. I flew out and back to San Francisco in five days. That was all I gave. I returned unable to grieve, I could not find the capacity to be sad. I knew I would not be able to live with myself if I allowed myself to think about it for just one more second. Ah Ma will not pass in vain. I could not change history, but I could change the present and the future. I have to be even more alive than I was, because I traded-off the opportunity to say goodbye to Ah Ma. It has to be a worthy tradeoff. How much did she have to endure throughout her life, in order for me to be me now? How do I have to live henceforth, to make that heavy tradeoff worthwhile? I was right, I have changed, but at that moment in the airport, I could not have known, how much. Unprocessed emotions creep up on us. Mine had crept as slow as they could. More than six months later I am sitting here, finally being able to write these strings of words. This is how long it took me to muster enough courage to start grieving. When our loved ones pass, it is not just about grieving over the absence, it is about grieving over the love we could have given. Over the time and presence we should have cherished. I grieve over the self that wasn’t able to actualize in time. The self that could have been more present. I will not be 48 hours away from saying goodbye again. I must learn to be more present. Goodbye Ah ma, your last gift to me was the most precious.